For the uninitiated the DCEU stands for the DC expanded universe, which refers to the current and future crop of D.C. movies. So anyways this thread is meant as a sounding board for opinions and predictions concerning the DCEU. Is Batman vs. Superman that bad? Will Wonderwoman and Justice league redeem the DCEU? Is Jared Leto a good or bad Joker? If you have any thoughts regarding this topic post below. I just joined not long ago but I saw this thread where no one replies. I wanna say that BVS wasn't that bad although Batman seemed kinda useless in the whole movie to me especially at the end when they were fighting doomsday. But I would say that it is a ok action sci-fi movie. Wonderwoman was also quite good but the ending fight seemed a bit non-sense to me...God of war losing to a daughter of god. She should be like a demi god only. And for JL, I am really looking forward to watching that. Especially Aquaman and Flash. Really can't wait. Well, a lot has changed since the last post on this thread - the DCEU is currently going through massive shake-ups, with Henry Cavill out as Superman, and Ben Affleck out as Batman. Justice League was a disaster, both artistically and at the box-office. Wonder Woman is the most incredible movie ever. Aquaman comes out in December, so we'll see how that does, I'm expecting a decent movie but the Crayola hair on Amber Heard's Mera bothers me (Nicole Kidman, however, looks totally awesome as Atlanna, and I love Black Manta). Wonder Woman 1984 has had its release-date pushed back to June, 2020. Ava Duvernauy, director of Disney's box-office flop A Wrinkle In Time, will be directing New Gods. Guardians of the Galaxy director James Gunn seems to be on his way to directing Suicide Squad 2, and it looks like Jared Leto will be out as the Joker. Ruby Rose will debut as Batwoman in a CW crossover Elseworlds, with Supergirl, Flash (Grant Gustin), and Green Arrow. 1: yes, BvS was that bad. 2: Wonder Woman redeems every mistake previously made by the DCEU. Justice League took us a few steps backward, unfortunately, and even Gal Gadot couldn't save that movie. 3: Jared Leto was wrong for the role. 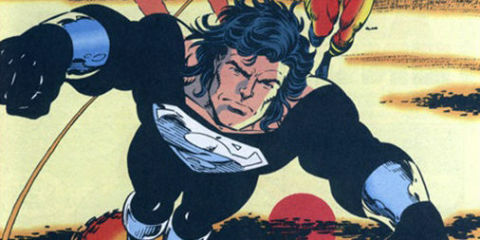 4: Superman came back from the dead just as boring as ever.